When it comes to pre-Super Bowl musical performances, the national anthem gets all the attention, but personally, I think the equally patriotic "America the Beautiful" is actually a better musical showcase. Unless you are Whitney Houston, it's almost impossible to craft a rendition of "The Star-Spangled Banner" that has the thrills, chills, and many, many riffs of a jaw-dropping performance at the packed Super Bowl. And at this year's game, before Lady Gaga sang "The Star-Spangled Banner," 50 members of the Armed Forces Chorus' performed "America the Beautiful" was, fittingly, beautiful. Actress Marlee Matlin signed along with both performances. Both songs aren't always performed before the game, but after the last few years, particularly John Legend's "America the Beautiful" in 2015 and the Chorus' rendition for Super Bowl 50, the NFL should think about making it a permanent fixture. With a distinctive vocalist like Gaga performing the national anthem, choosing a totally different musical style like a choral arrangement for "America the Beautiful was a smart idea. 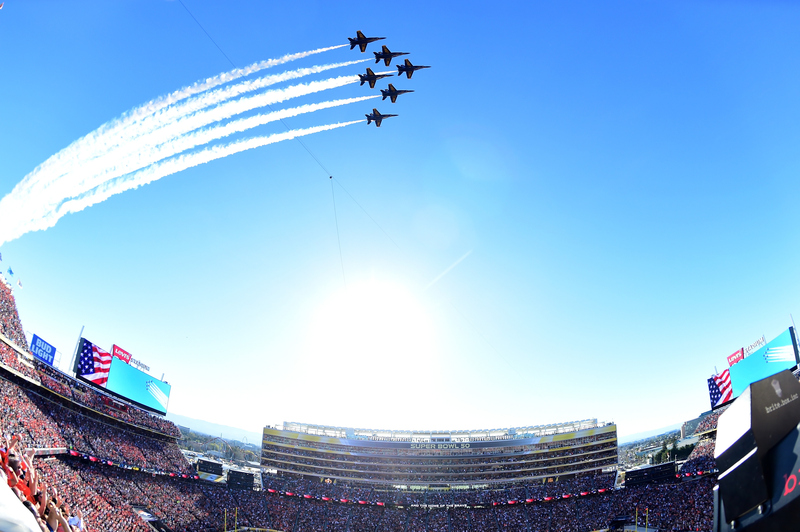 The NFL has always been big supporters of the U.S. military, so having the chorus perform at the pre-game show was a logical tribute to that connection. But even if the cutaways to active duty soldiers in Afghanistan had anyone thinking politics, it came across as more of a tribute to servicemen and women than a strong political statement. And the vocal precision of the chorus is inarguable. And if somehow you missed the performance in all the pre-game madness, check out the video below — it will make you appreciate the underrated patriotic anthem.